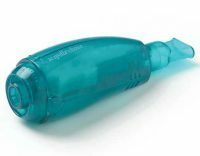 Acapella or Positive Expiratory Pressure (PEP) therapy is used to mobilize secretions. 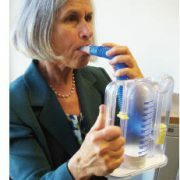 PEP devices have been found to give independence to patients with chronic respiratory diseases as the therapy can be done when convenient for the patient and without the need for an assistant. 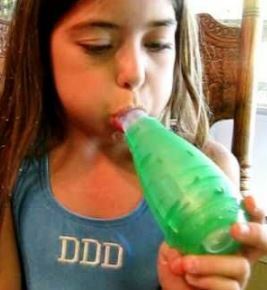 It improves clearance of secretions and facilitates opening of airways in patients with lung diseases with secretory problems such as COPD, asthma and Cystic Fibrosis. Color-coded units (green for high-flow, blue for low) help customize treatment for each patient based on their clinical needs. You can adjust the Acapella® frequency and flow resistance simply by turning an adjustment dial.